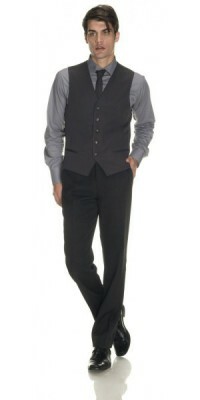 Vest Solid Color There are 14 products. 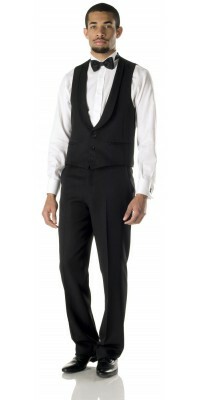 Corbara Professional Wear: the practicality and elegance of the Waiter and Barman Vest. In work uniforms, the Vest is a convenient and practical alternative to the jacket in bar and restaurant clothing; the use of this garment, in fact, provides great ease of movement for the operator, which is essential for example, for bartenders at the coffee machine. 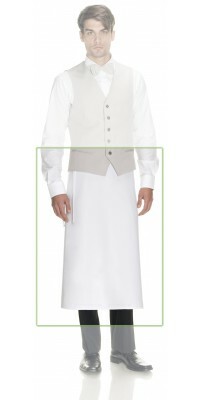 Moreover, the vest has a good fit for almost all sizes and different physical features (tall, short, heavyweight, etc. 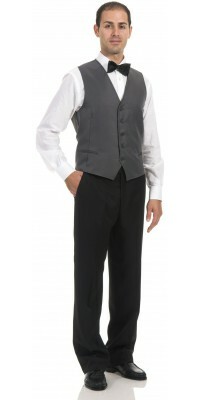 ), and, Last but not least, the use of Vests in waiter and bartender uniforms has a certain charm that never goes out of fashion. The Vests proposes in this section are available in various colors and in different models, such as: Parigi Vest and Varsavia Vest with colored buttons, the Toledo Vest with gold buttons, the Berlino Vest with an elegant shawl collar and Zurigo Vest, with a feminine fit. 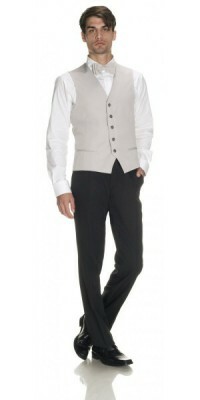 All vests are made in 100% polyester Gabardine Plus fabric, very resistant to both wear and washing. Vest with 3 buttons and shawl collar, model Berlino Lined, back made of the same fabric Black colourImmediately available for delivery: sizes from S to XL Made of Gabardine Plus, 100% Pol. Unisex vest with 5 buttons, model ParigiLined, back made of the same fabric Black colourImmediately available for delivery: sizes from S to XL Made of Gabardine Plus, 100% Pol. Unisex vest with 5 buttons, model ParigiLined, back made of the same fabric Mid-Grey colourImmediately available for delivery: sizes from S to XL Made of Gabardine Plus, 100% Pol. Unisex vest with 5 buttons, model ParigiLined, back made of the same fabric Lake Blue colourImmediately available for delivery: sizes from S to XL Made of Gabardine Plus, 100% Pol.